Whatever happens, Judgement Day, Apocalypse, End of the world, The Quickening, Armageddon,… you name it, the mayan calendar ends December 21, 2012. 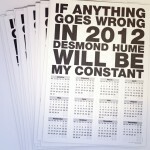 If anything goes wrong in 2012, Desmond Hume will be my constant. In exchange, we just ask you to post a Tweet or a Facebook share about it. See you in another life, brothers. 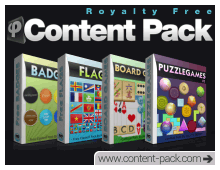 Partager la publication "Download Free Calendar 2012"